The ideal line from the tee is somewhere between the bunker and the pine trees. 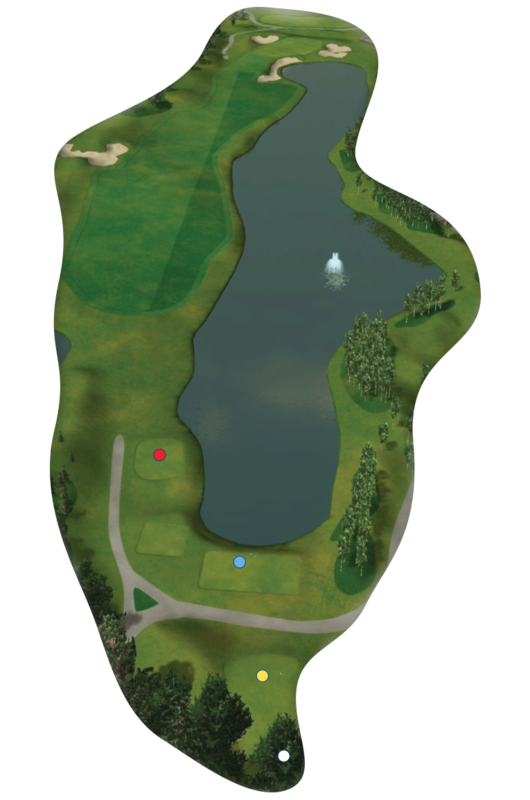 Club selection with the second shot is critical; anything slightly right will catch at best the bunker, possibly the water. The green is built with a ‘Biarritz’ style swale through the middle that makes putting interesting! A great finishing hole!